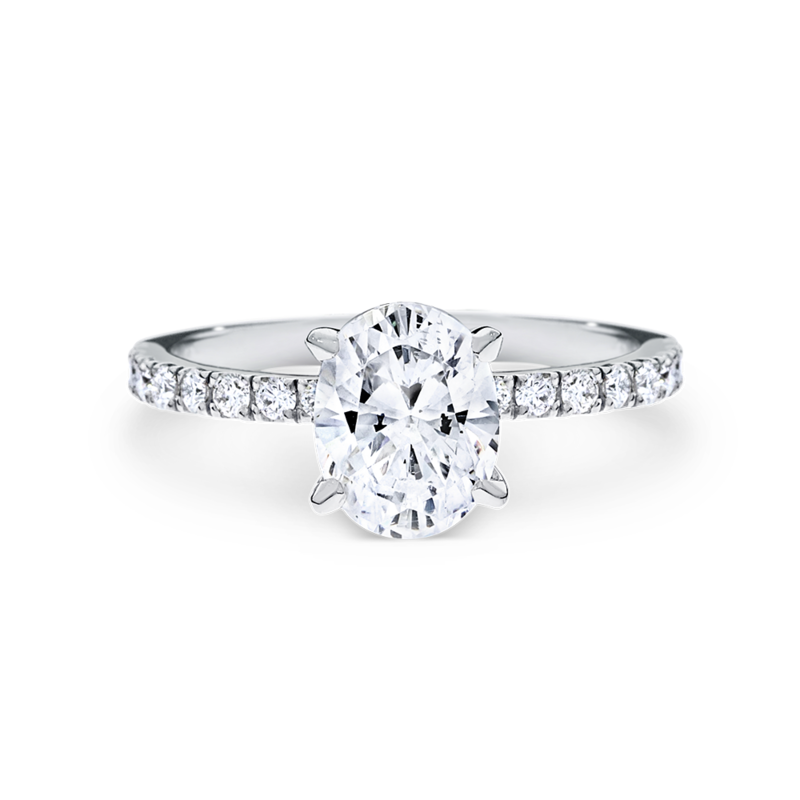 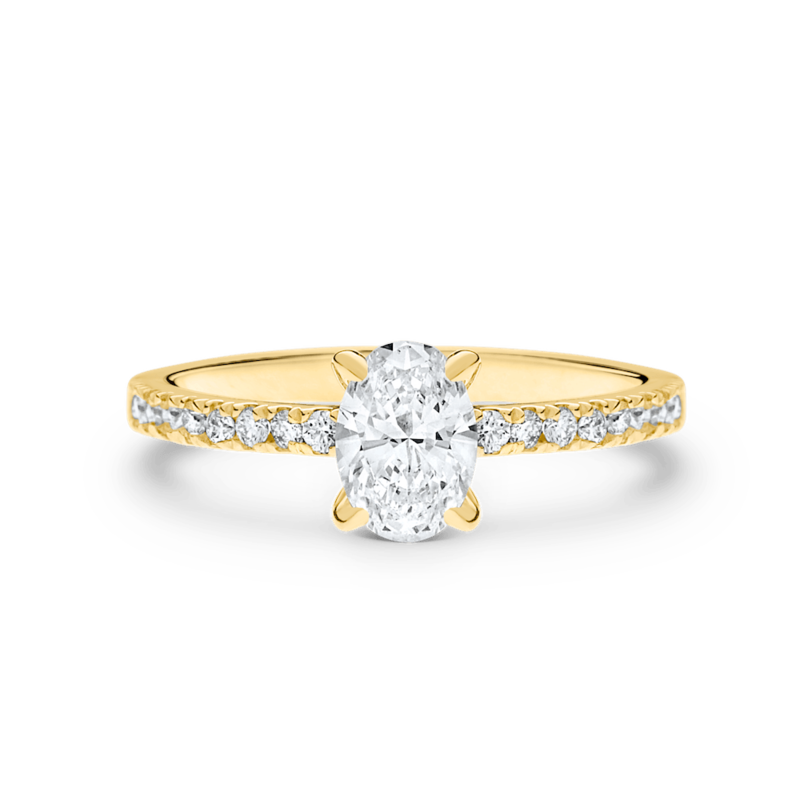 An oval-cut centre stone is illuminated within four claws and given elegance with round brilliant-cut shoulder stones. 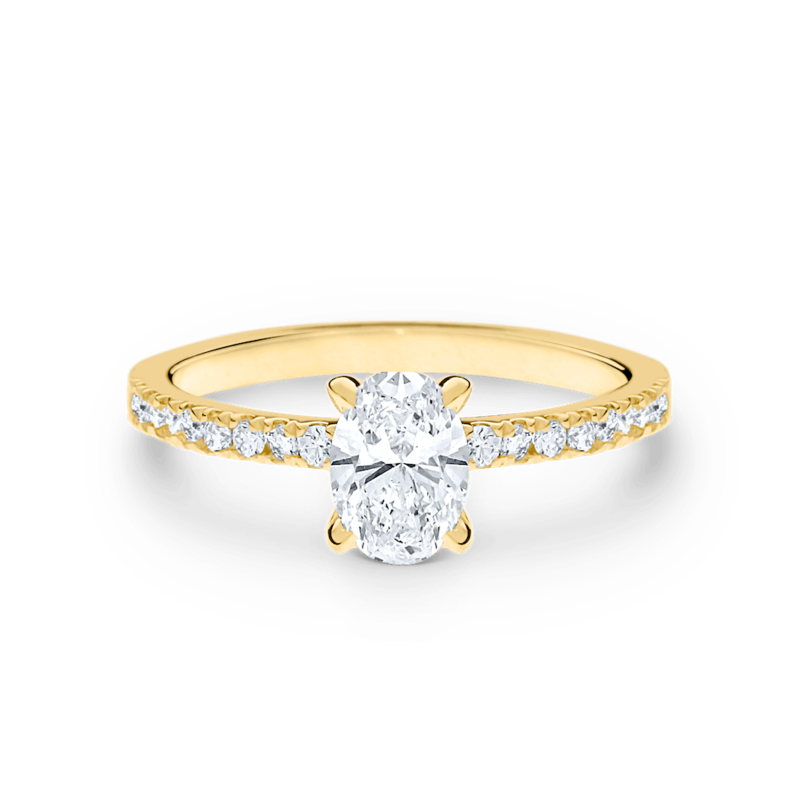 Available in a range of centre stone weights and shapes. 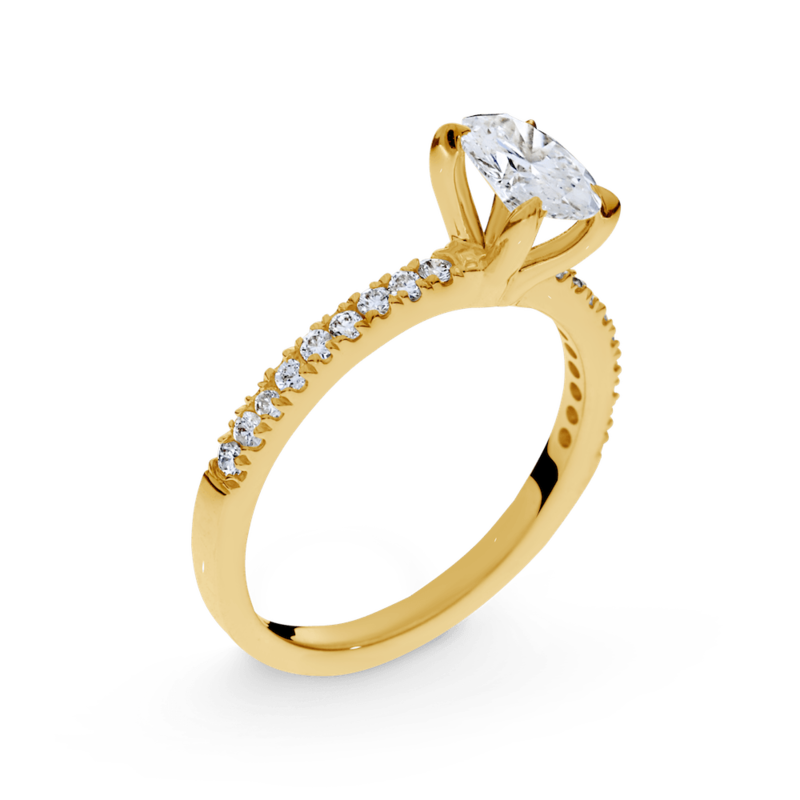 Available in white, rose and yellow gold, or platinum.